Swn-y-Don caravan, by the river Teifi near Cardigan West Wales. 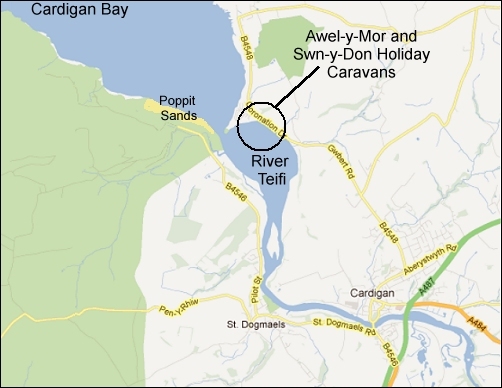 Swn-y-Don Holiday Caravan is situated in a small private site on the edge of the tidal estuary at Gwbert near Cardigan, just a few yards from the waters edge. As the tides change you will see a constantly changing variety of seabirds, waders, ducks and geese feeding on the sandbanks below the caravan. 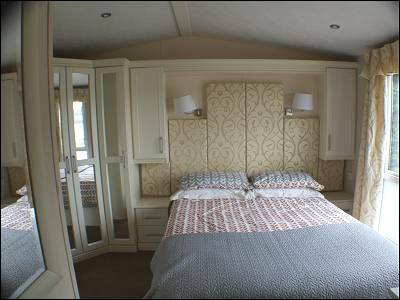 This well equipped caravan sleeps 4. 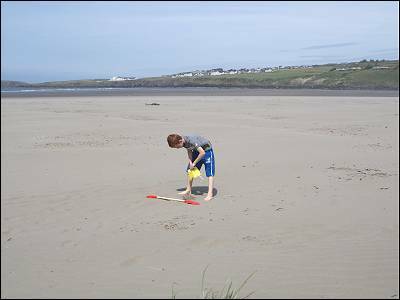 Superb beaches just a short drive away are at Poppit Sands, or the National Trust Beach at Mwnt. One small to medium dog accepted. 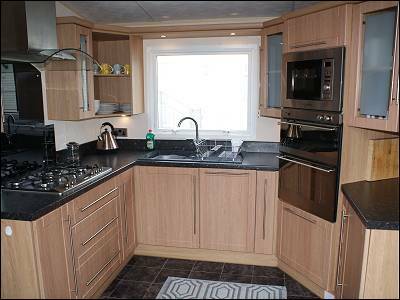 The caravan is fully equipped for your holiday with comfortable built in wrap around sofas, flat screen TV with digital free view and DVD, a dining area seating 6 and kitchen area with fridge, gas hob & oven, microwave and all the usual small appliances, crockery, cutlery and cookware. There are 2 bedrooms - a double and a twin, plus a shower room with glazed shower, WC and basin. There is electric heating in the bedrooms and bathroom and gas fire in the lounge. 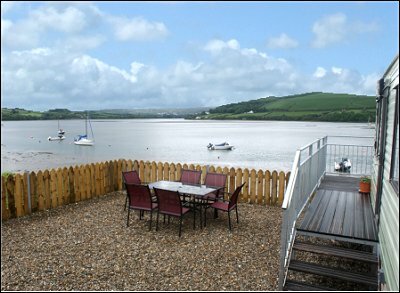 Outside The area around the caravan is gravel and there is a table and chairs overlooking the estuary, also a BBQ . 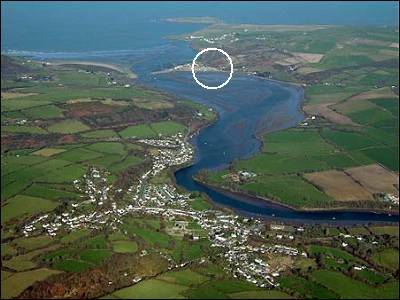 The local Sailing Club is next door and provides launching facilities (small fee) if you bring a boat to explore the river and Cardigan Bay. There is adequate space for parking a boat close to the caravan. Bed linen provided, please bring your own towels and beach towels. All electricity and gas included in rental. Parking next to caravan and plenty of space for a boat on a trailer. 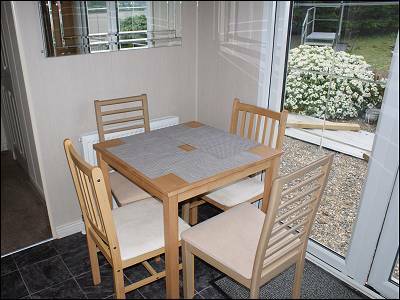 Outside furniture and BBQ provided next to caravan. 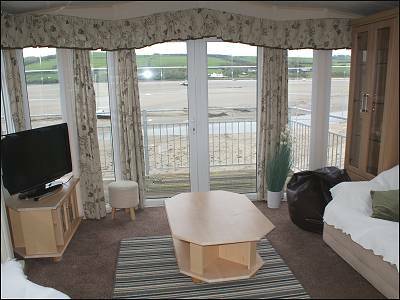 The adjacent caravan 'Awel-y-Mor' - sleeping 4 can be booked together with Awel-y-Mor to sleep 8. One well behaved dog welcomed. Note: This caravan is being replaced by a newer 2 bedroom caravan in the winter. Photos and description will follow by the end of January. Birds: - Along this stretch of the river, you may see Kingfishers, Dippers and Grey Wagtails, Common Sandpipers, Redshank, Whimbrel and Herons. The caravan is one of the best place to view the various gulls, Mediterranean Gulls are fairly common in ones or twos. Little, Glaucous and Iceland Gulls have also been seen from here. Scan the far bank for waders and Little Egrets. The spit opposite the Webley pub is the high tide roost for the larger waders, Oystercatchers, Curlew, Godwits and Knot. Opposite the Webley on the northern shore, beyond the caravan site / boat club is where the smaller waders congregate. Dunlin, Sanderling, Ringed Plover and in autumn Little Stint and Curlew, Sandpiper and in winter months there may be Goosander and often Canada Geese. 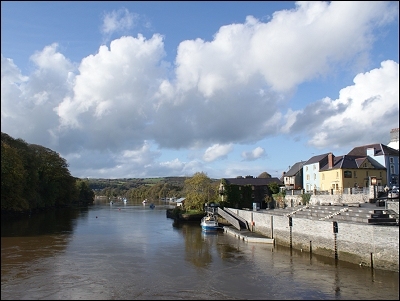 Otters have also been seen on this stretch of river. Golf - Cardigan Golf Course is famous for its coastal views. St. Dogmaels Abbey - across the river at St Dogmaels the remains of this 12th century Abbey are free to visit. Teifi Marshes Nature Reserve and visitor centre. Cardigan Bay Active - water sports, kayaking, coasteering etc.